When I was a child growing up in Sierra Leone, sometimes I studied by the candlelight. When our mothers cook in the kitchen using firewood or charcoal they carried us on their backs. That tradition continues today. Sometimes, we played around them in the kitchen, all of us inhaling the carcinogenic smoke. Decades later, many parts of my country and of Africa, especially in rural areas, are still excluded from the immense benefits of electricity. Globally, WHO estimates about 4 million premature deaths a year (mainly children and women) due to pulmonary ailments, linked directly to household air pollution, primarily from the use of biomass as a source of energy and kerosene lamps for lighting; this is almost doubled the incidence of HIV/AIDS and Malaria combined. The effects of such energy poverty can be seen most dramatically in health care, and especially in childbirth, where darkness can mean death, and where light can mean life. 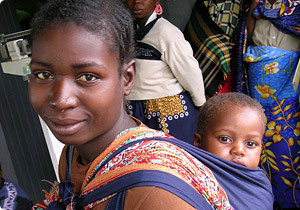 Sierra Leone has one of the highest rates of maternal mortality in the world. Recent studies done in the country by Dr. Mohamed Yillah and NGOs, under the DFID sponsored program called MAMAYE, have traced the primary cause of high maternal mortality to lack of electricity in primary health care units, poor sanitation, and hemorrhaging. Primary health workers are struggling to provide care using candles, kerosene lanterns and torchlights. In many instances, they can’t even charge their cell phones for emergency calls at their work sites. According to the World Bank in 2010, my country has a Maternal Mortality Rate (MMR) of 890. A woman’s lifetime risk of dying of pregnancy related complications is 1 in 23. Millennium Development Goal 5 called for a 75 percent reduction in maternal mortality rate by the end of 2015. Sierra Leone is making immense efforts to meet this goal. 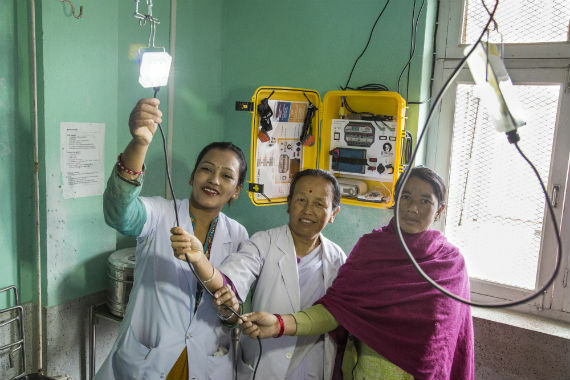 One outstanding program that is saving women’s lives is the installation of “Solar Suitcases” from We Care Solar, a nonprofit organization based in California. We Care’s all-in-one solar systems ensure that clinics have light, operable cellphones for emergency communication, and fetal Dopplers (for monitoring fetal heartbeats.) The We Care Solar Suitcase can be expanded to power other essential medical technology, such as blood bank refrigerators. Sierra Leonean midwife Isha Daramy met Dr. Laura Stachel of We Care Solar in California. According to reports, Isha cried when she first saw the Solar Suitcase. She insisted Dr. Stachel and her team bring them to Sierra Leone. Dr. Stachel did not disappoint. She answered the call. So far, 60 Solar Suitcases have been installed in clinics in Sierra Leone, in partnership with the Ministry of Health and the United Nations Population Fund (UNFPA). 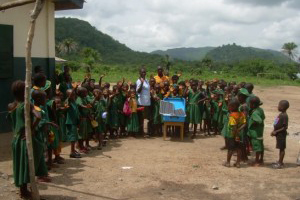 Around the world, more than 400 clinics now have reliable electricity from We Care’s Solar Suitcases. These clinics now have electricity for adequate treatment and care to the many pregnant women who come through their doors. More women keep coming and the number of night time deliveries with skilled care has risen dramatically in these clinics, reducing the number of women who die of complications from pregnancy and childbirth. By promoting safe motherhood and providing health workers with reliable lighting, mobile communication, and using solar electricity, We Care Solar reduces maternal mortality in the developing world. As part of the Sustainable Energy for All’s efforts to meet the UN’s goal of providing universal access to modern energy services especially in Sub-Saharan Africa and South East Asia, we support the provision of electricity for lighting and other energy-dependent health services to 400,000 primary health care units in developing countries. This year, Dr. Stachel was named a CNN Hero for her efforts in saving pregnant women and their children during childbirth. She is indeed a hero! As the Secretary-General’s Special Representative for the for the Sustainable Energy for All initiative, I enthusiastically endorse her work. 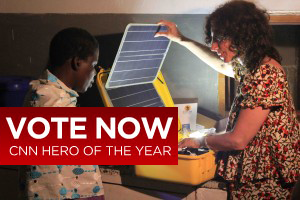 CNN will soon award a grand prize to 2013’s top hero based on voting by the public. The prize money will enable We Care Solar to advance the goal of reducing maternal and child mortality with basic lighting and electricity for EVERY health clinic. I ask you to join me in voting for Dr. Laura Stachel as CNN’s Hero of the Year (click here) and spreading her story of compassion and service to your friends and families. Remember, you can vote once everyday. A pregnant woman’s survival must not depend on daylight. Help provide light to save another woman, another child’s life. Let’s build a better world by caring for each other. Vote here to show your support for healthy childbirth around the world. 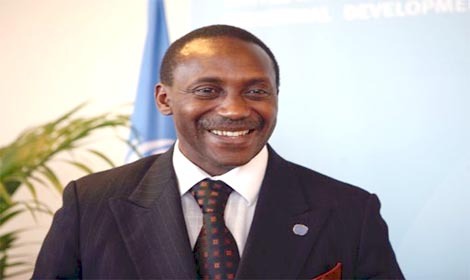 Dr. Kandeh K. Yumkella is the Special Representative of the UN Secretary-General and Chief Executive Officer of Sustainable Energy for All. Previously, he served as Director-General of the United Nations Industrial Development Organization (UNIDO). For every 100,000 live births, 890 women die from pregnancy complications.